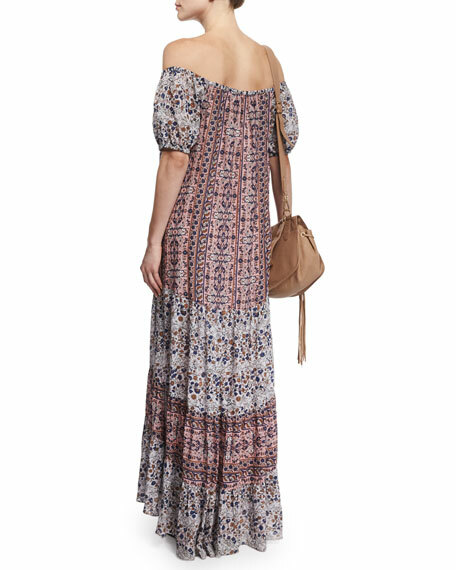 See by Chloe maxi dress in multipattern. 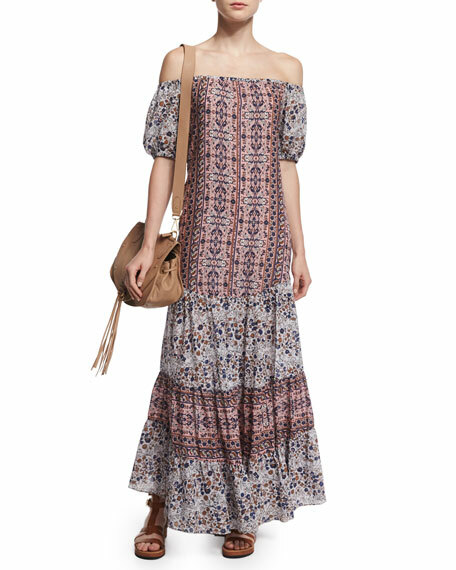 Model's measurements: Height 5'11"/180cm, bust 32"/81cm, waist 25"/64cm, hips 35"/89cm, dress size US 2/4. Launched in 2001, See by Chloe is the more contemporary vision of the Chloe collection. This diffusion line translates the design house's flirty yet glamorous style to wardrobe basics such as tops and skirts along with after-hours dresses and accessories. For in-store inquiries, use sku #1719882.